Takajo castle (高城) is built on the plateau at the north side of Omaru-gawa river, in the middle part of current Miyazaki prefecture. 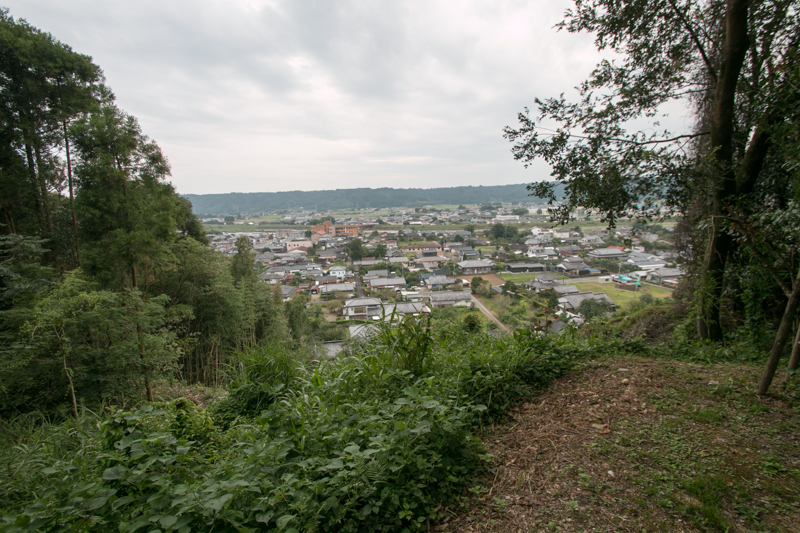 At castle site a sheer cliff is formed by the erosion of Shirasu plateau by the river, and the height of the cliff is nearly 50 meter. 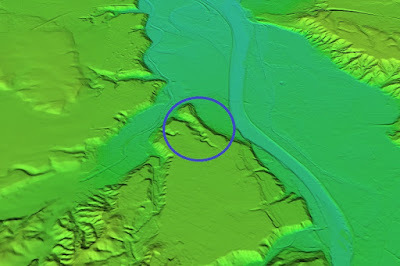 Furthermore, in addition to the south side faces the river, the north side of the castle is also deeply hollowed by a creek. 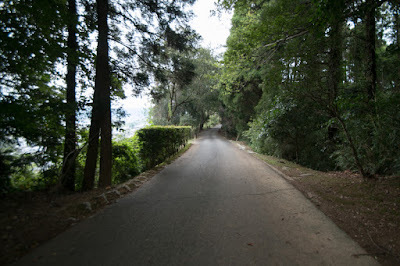 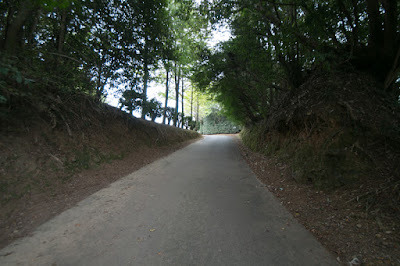 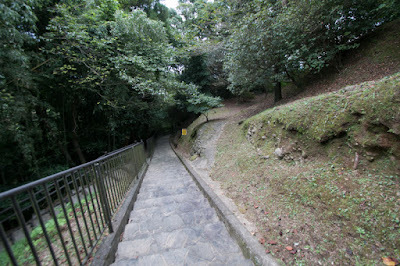 Therefore, Takajo castle is a secure castle protected it's both side by sheer cliff. 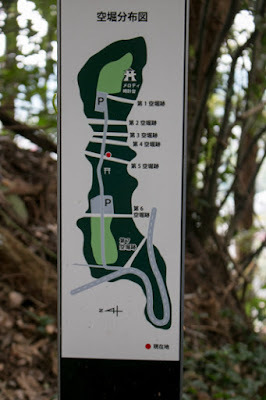 In addition to this, Castle site is at the north edge of three rivers forms Miyazaki plain, it mean Omaru-gawa river, Oyodo-gawa river and Kiyotake-gawa river. 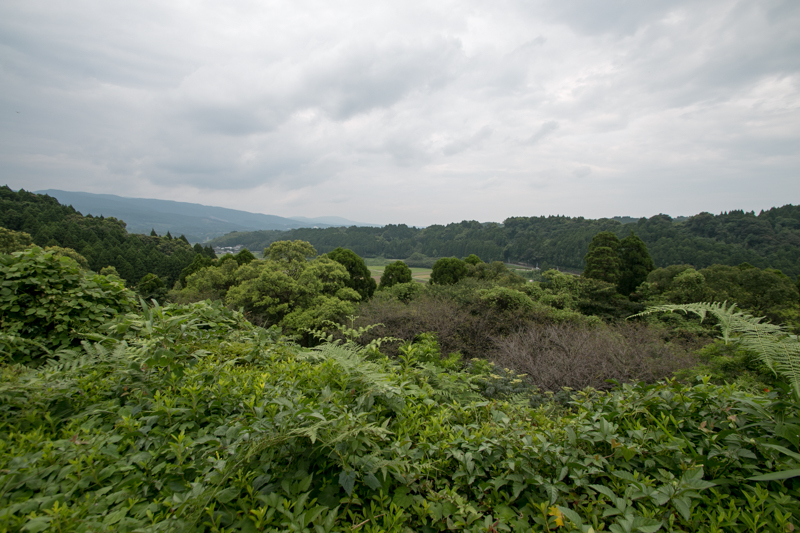 As Shirasu plateau is not suitable for cultivation, agricultural production of Hyuga provine (Miyazaki prefecture) concentrated on the side of three rivers. Castle site is the last defense place of this fertile area against northward. 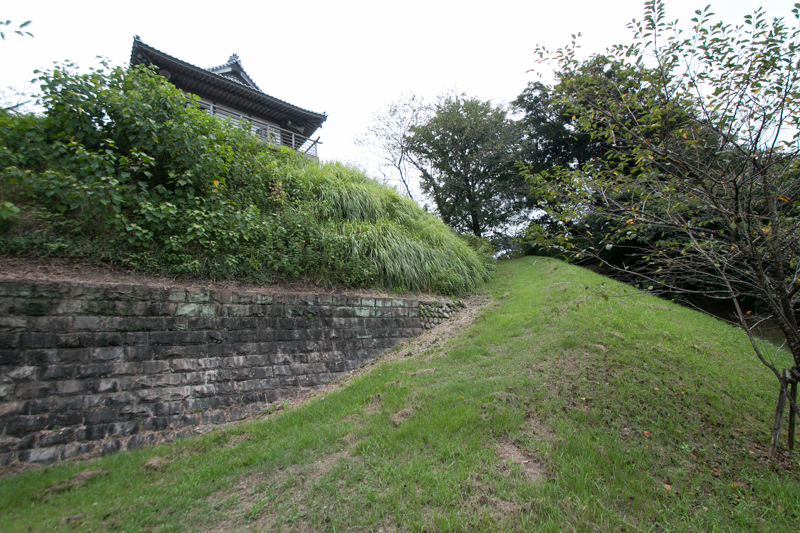 The origin of Takajo castle is unknown but it might be built in 14th century, by the local lord Niiro clan. 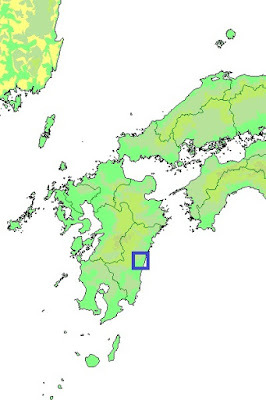 Niiro clan was a branch family of Shimazu clan which was the governor of Satsuma province (Kagoshima prefecture) originally also held Hyuga province. 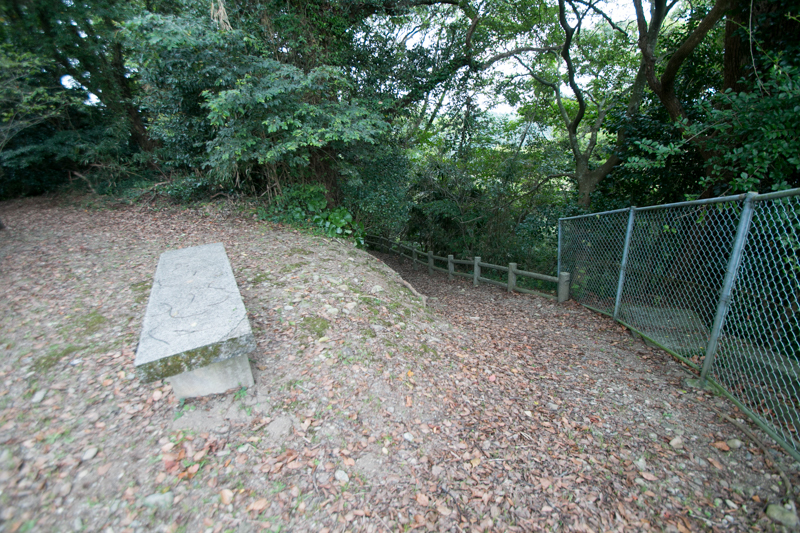 But Niiro clan was expelled from this area, and Tsuchimochi clan held Takajo castle. Later Niiro clan became famous by Tadamoto Niiro (1526-1611), a brave general of Shimazu clan. Tsuchimochi clan held Takajo castle over 100 years, but in the middle of 15th century, Ito clan which was the lord of current Miyazaki area broke Tsuchimochi clan and captured Takajo castle. Takajo castle became an important castle to protect their main base Tonokori castle or Sadowara castle, and Nomura clan which was an important retainer of Ito clan became the commander of the castle. 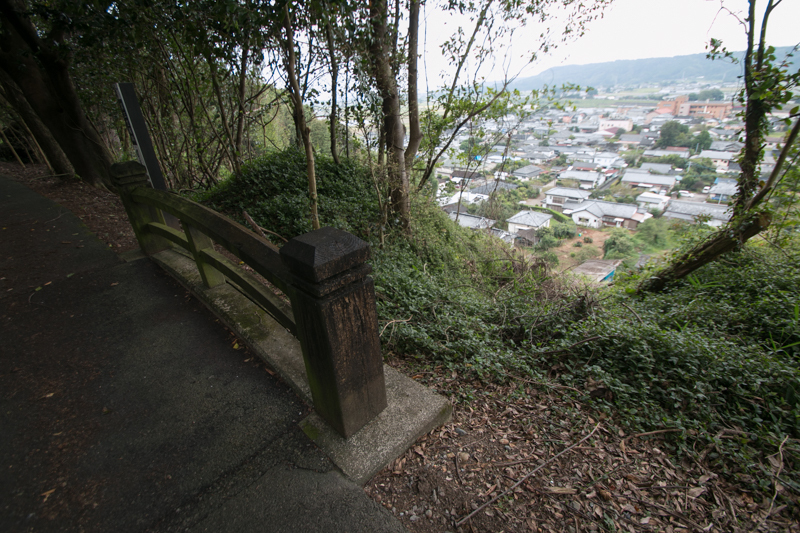 Ito clan gradually grew their power utilizing internal conflicts of Shimazu clan, and became its peak period in 1560's by capturing Obi castle from Shimazu clan. But in 1572 Ito clan suffered severe defeat by Shimazu army at the battle of Kizakibaru, and was gradually suppressed by Shimazu clan which recovered their old power. 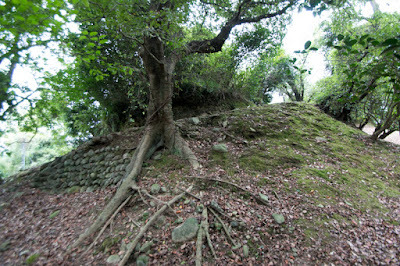 In 1577, facing the pressure of Shimazu clan and rebel of retainers, Ito clan disposed their main base Tonokori castle and escaped to Bungo province (Oita prefecture). 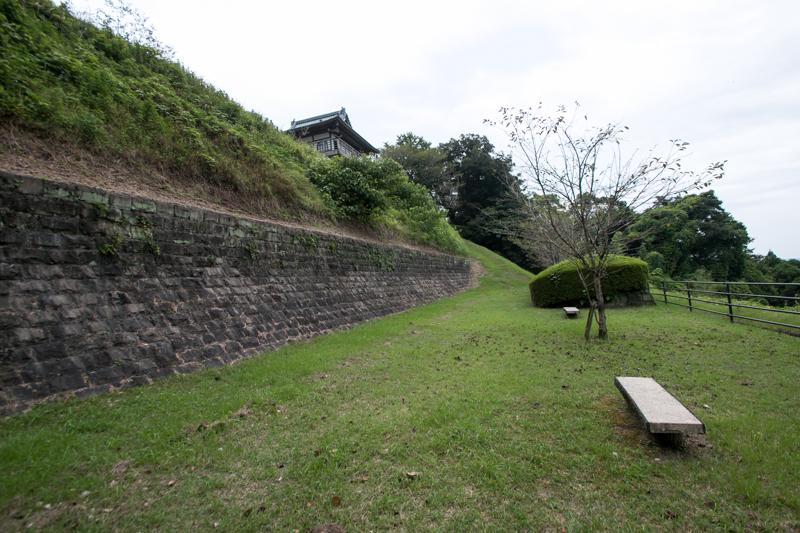 At this time Takajo castle was captured by Shimazu clan, and Shimazu clan placed their brave general Arinobu Yamada (1544-1609). 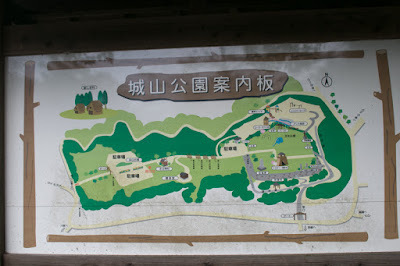 In 1578, Yoshishige Otomo (1530-1587), the warlord of Bungo province who directly or indirectly held north and middle part of Kyushu province, sent large army to Hyuga province to support Ito clan and build his ideal Catholic kingdom. Otomo clan ruined Tsuchimochi clan of Nobeoka area which turned to Shimazu clan, and surrounded Takajo castle with 30,000 soldiers. Arinobu Yamada only had 300 soldiers but securely held the castle then merged with Iehisa Shimazu (1547-1587), the fourth of Shimazu four brothers and brilliant at tactics. 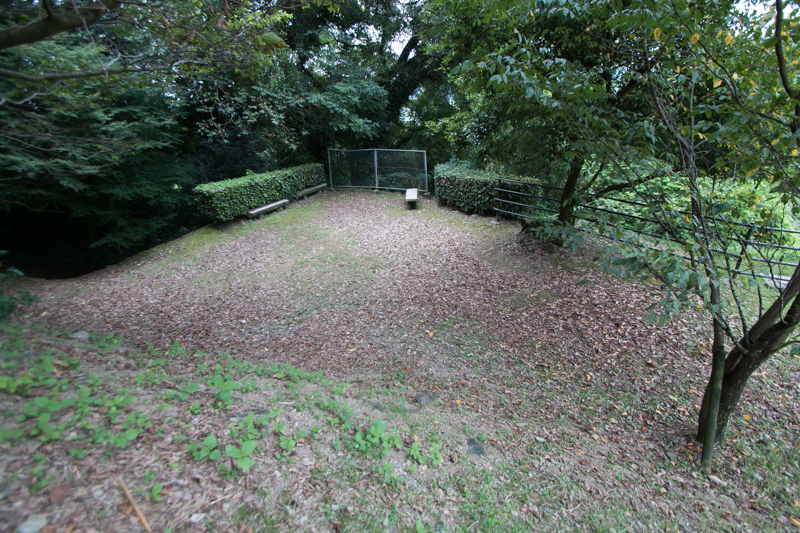 Takajo castle stood the total attack of Otomo army using cannons imported from Western country over 20 days, and reinforcement army of Shimazu clan arrived at the south side of Omaru-gawa river in November 1578. 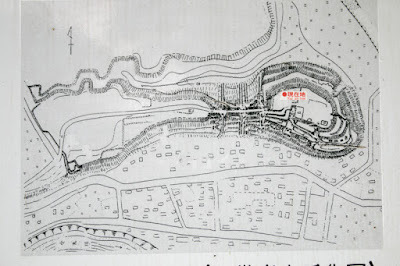 This time Otomo army had 70,000 soldiers but was divided into the forefront army at Takajo castle of 30,000 soldiers, the guard of Yoshishige at 50 kilometer from the battle front of 10,000 soldiers, and detached army from Higo province approaching to the battlefield of 30,000 soldiers. 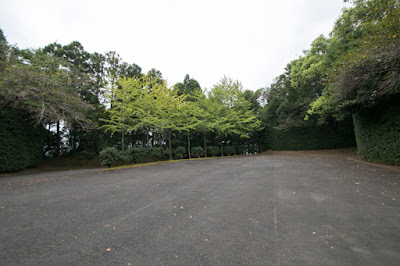 On the other hand, Shimazu army gathered all troops of 30,000 soldiers. 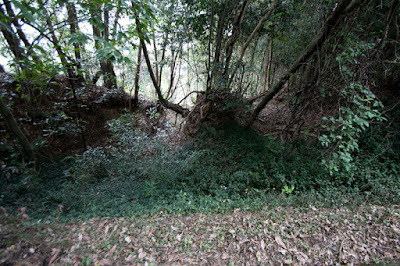 At the first battle Shimazu army lured the vanguard of Otomo army into their trap, and hidden troops encircled Otomo army. As Iehisa Shimazu suppressed other troops of Otomo army, Otomo army could not support their vanguard then this troop was ruined by Shimazu clan. 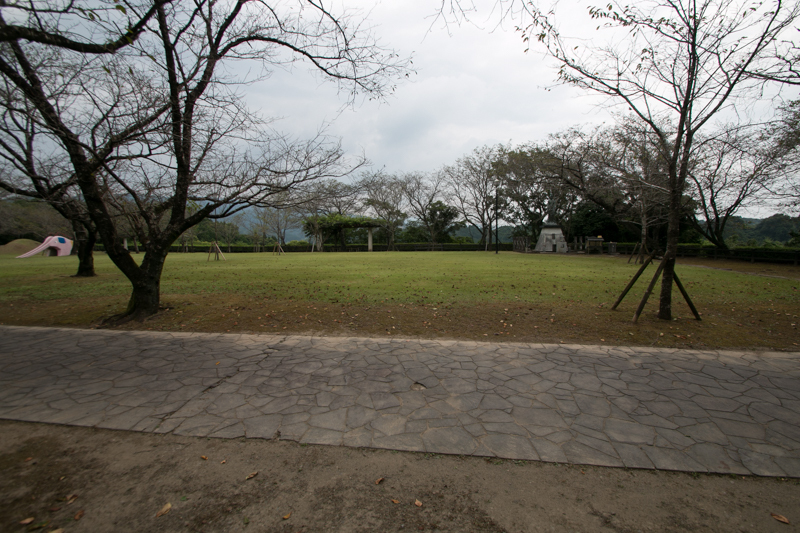 Looking at the defeat of skirmish, Chikakata Tawara (?-1600), the commander of Otomo army, tried to coordinate with Shimazu army. 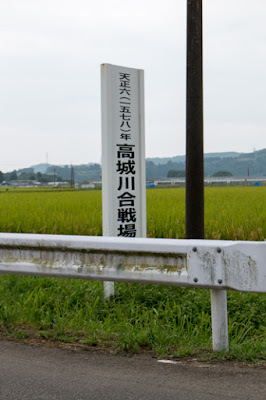 Shimazu army took ambiguous attitude to this application, and front generals of Otomo army such as Shigechika Takita (1543-1578) opposed this and strongly insisted to forcible attack to Shimazu army under absence of their leader. 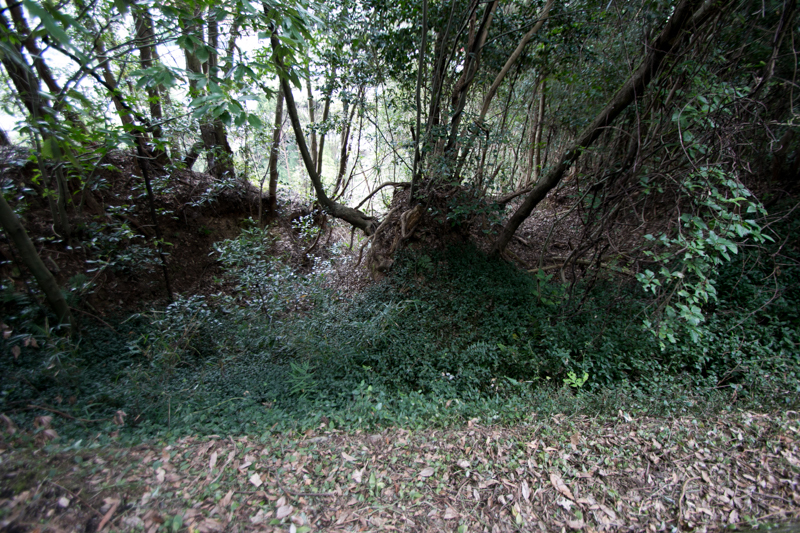 Sekiso Tsunokuma (?-1578), an intelligent staff of Otomo army, tried to stop this reckless attack but failed. 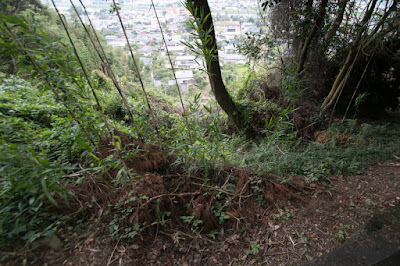 Sekiso expected his death and fall of Otomo clan, then burnt his secret note on art of war. 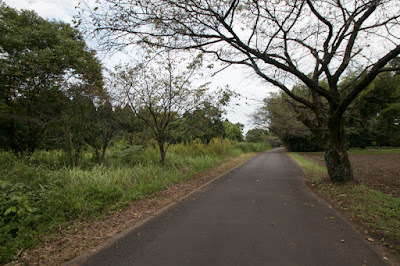 Next day Shigechika Takita and Korenori Saeki (?-1578) charged into the vanguard of Shimazu army and once brake it. 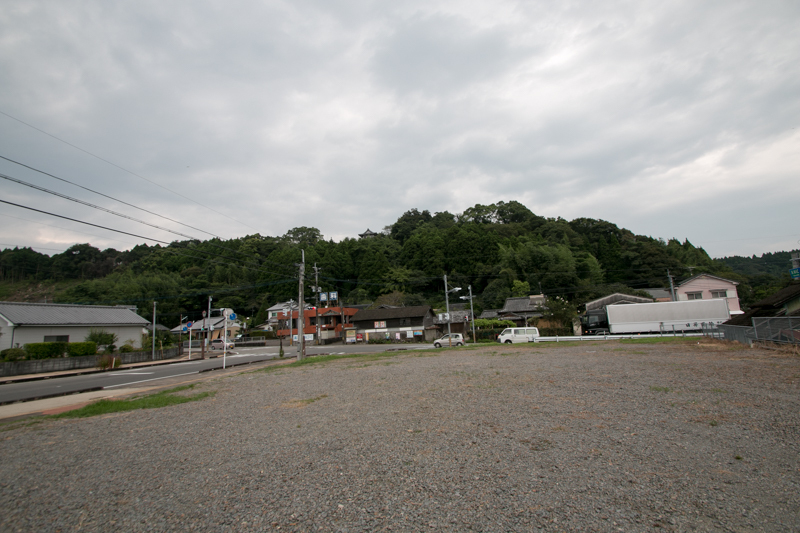 But this was a sacrifice of Shimazu army to entrap Otomo army. Excited Otomo army crossed the cold river and marched into the other side of the river. But this was a trap of Shimazu army and they encircled Otomo army by hidden troops and reinforcement goes down the slope vigorously, and the troop of Arinobu Yamada left Takajo castle and attacked the backside of Otomo army. 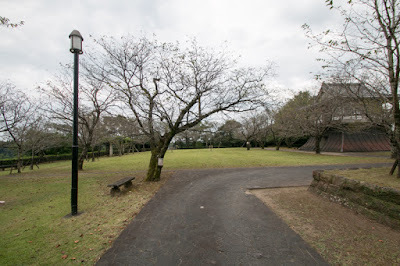 Shigechika Takita and Korenori Saeki desperately fought but died in the battle, and other several generals of Otomo army such as Sekiso Tsunokuma were also lost. 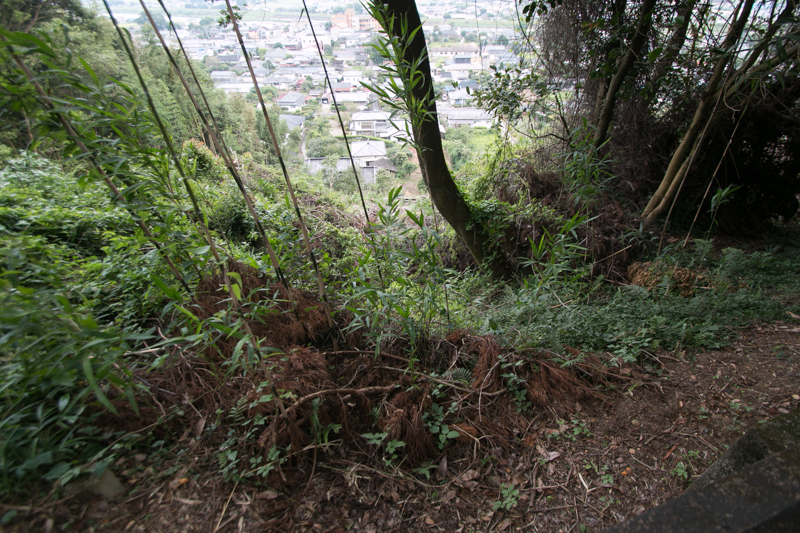 Otomo army collapsed and retreated, then suffered severe damage from the chase of Shimazu army. 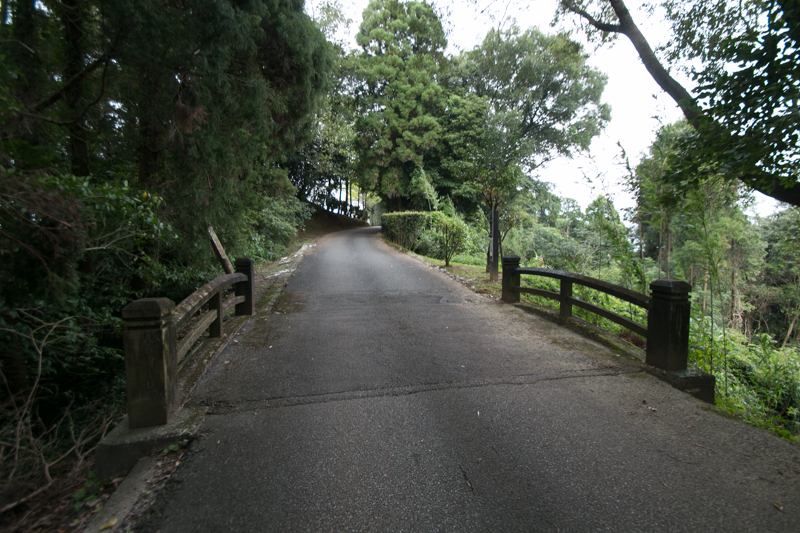 Yoshishige Otomo heard the defeat at front line returned to Bungo province, and this battle of Mimikawa resulted in the perfect victory of Shimazu army. Since this defeat, Otomo army significantly lost their power by leave of following lords such as Ryuzoji clan or Akizuki clan, and also the rebel of important retainers. Contrary to this, Shimazu clan seized Hyuga province, and advanced into Higo province formerly under the power of Otomo army. 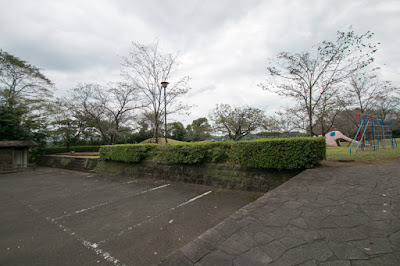 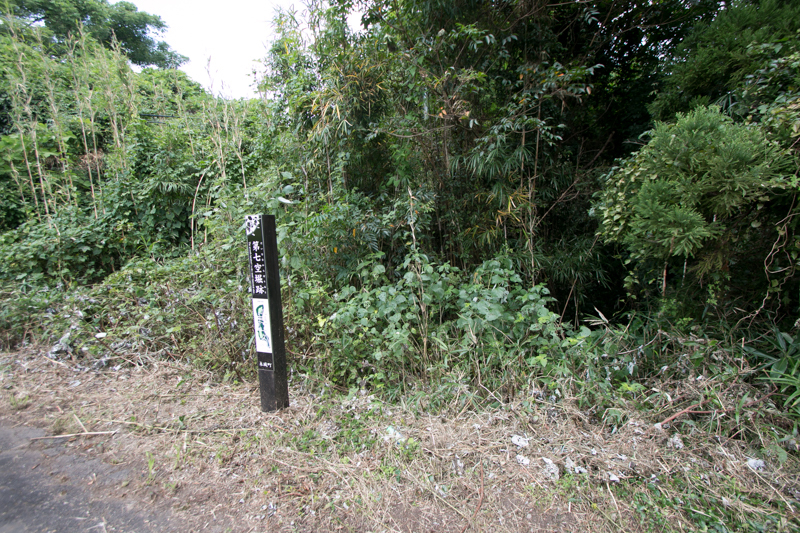 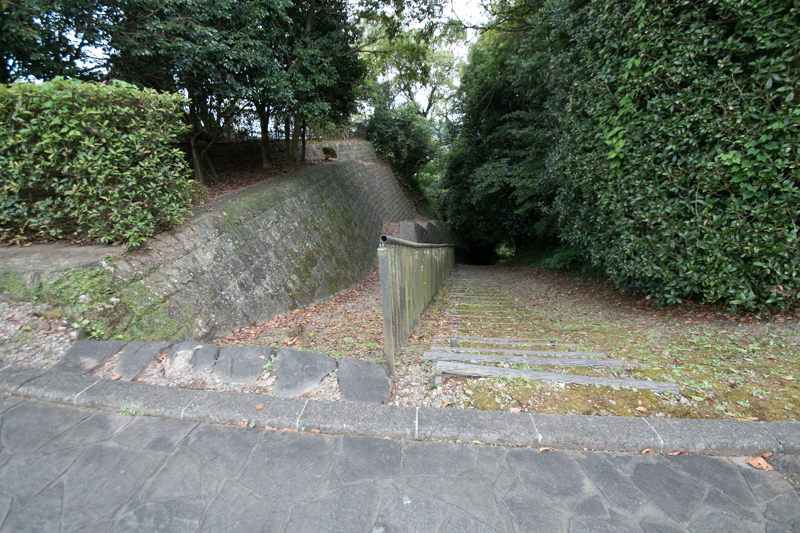 This battle of Mimikawa at the side of Takajo castle was the start of fall of Otomo clan and rise of Shimazu clan. After the battle Otomo clan still existed at Bungo province, Shimazu clan strengthened Takajo castle as an important connecting point. 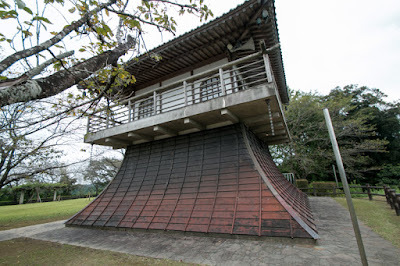 Takajo castle roughly consist of oblong shaped central area of about 200 meter long and 100 meter wide at the tip of peninsular like height, a bottleneck point at the middle, and large flat space at the root of 500 meter long and 200 meter wide. 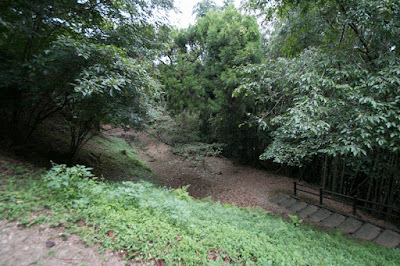 Central area is separated into western half and eastern half by dry moat with folded path. 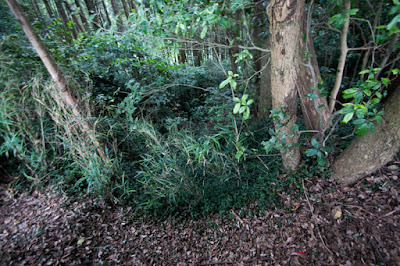 At the edge of eastern part there remains a basement of main building. 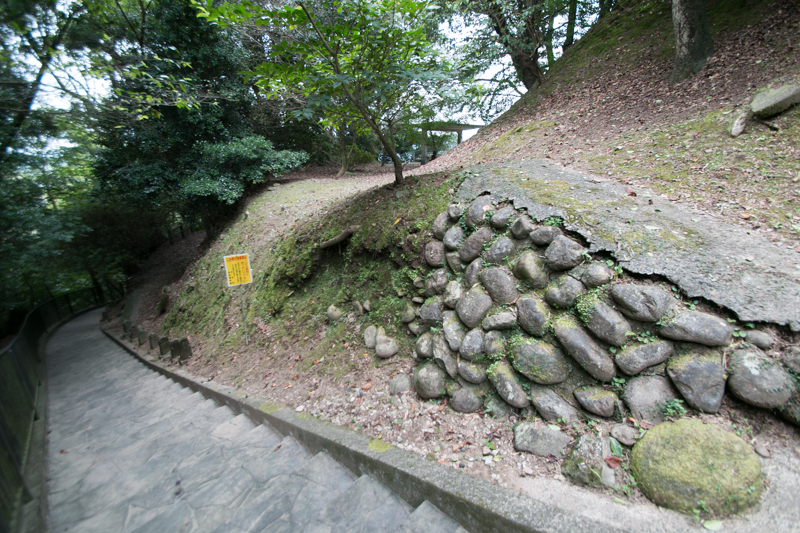 Several layer of terraces were built from hilltop to halfway of the slope. 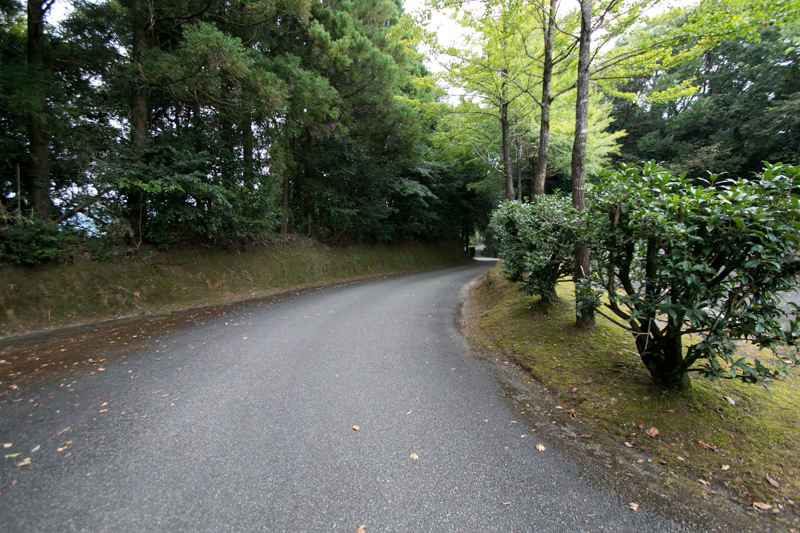 Middle part bottle neck area is securely protected by four lines of vertical dry moat. 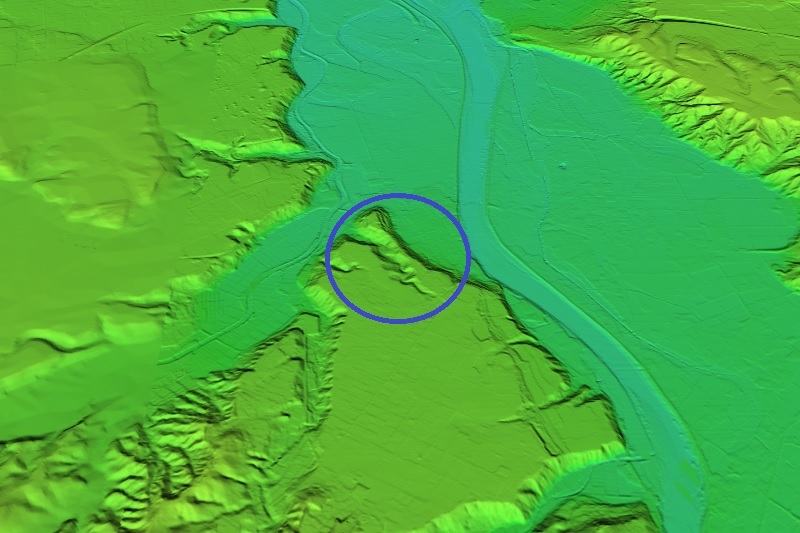 Large flat space of the root lost its original shape by cultivations, but there slightly remain the western line of the area with a basement of corner turret. Different from neighbor castle consist of same level independent areas, Takajo castle has a clear plan to protect the core part of the castle. 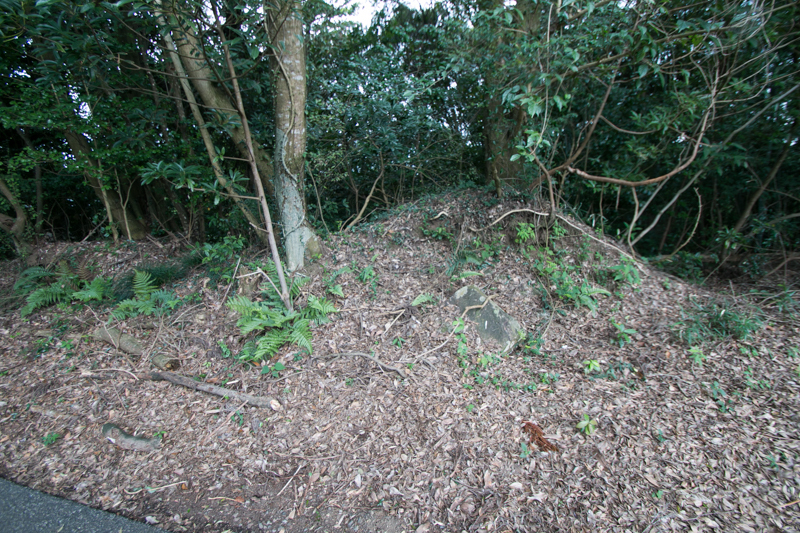 This might be brought from the experience of the battles and importance of the castle. 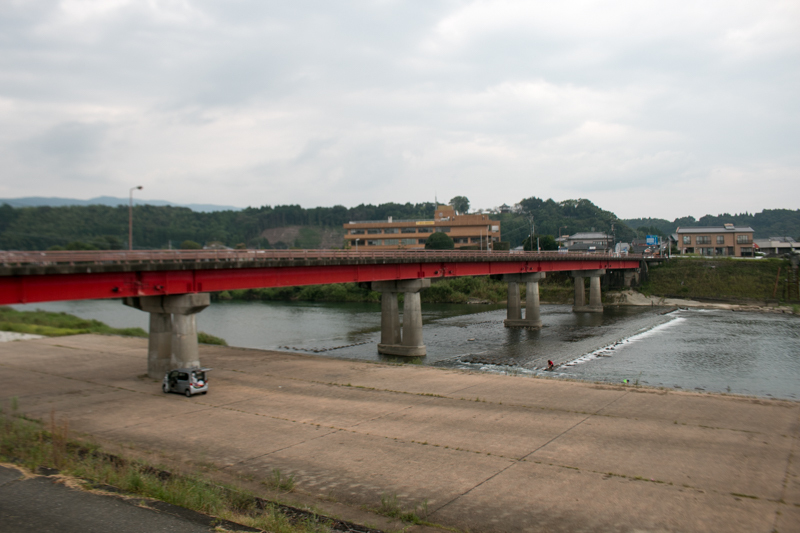 Shimazu clan beat another strong warlord Ryuzoji clan at the battle of Okitanawate in 1585, and grew into the ruler of Kyushu region. 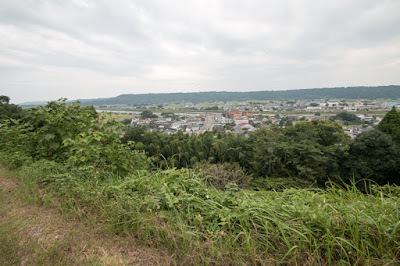 Otomo clan was pushed into the corner by the total attack of Shimazu clan in 1586, but central ruler Hideyoshi Toyotomi (1537-1598) sent overwhelming army to support Otomo clan and subjugate Shimazu clan nest year. Shimazu army disposed Bungo province and retreated to the south half of Kyushu island to protect their original territory. 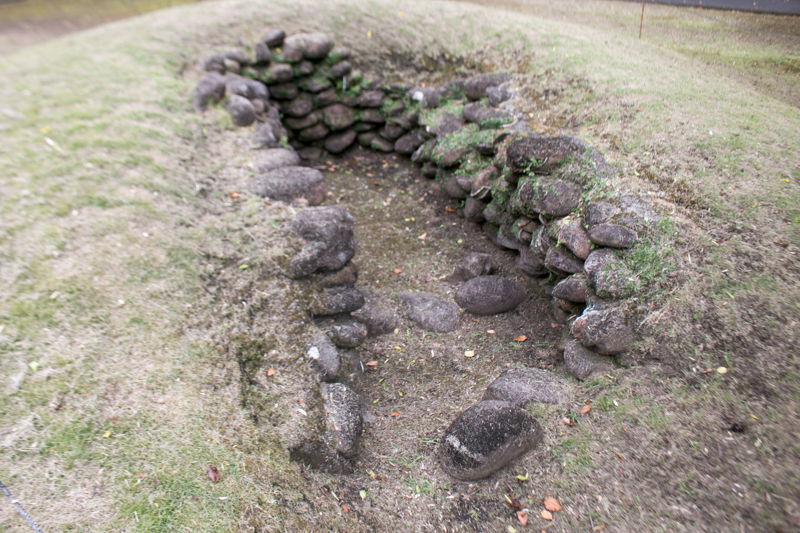 Takajo castle still protected by Arinobu Yamada became the front line toward north again. 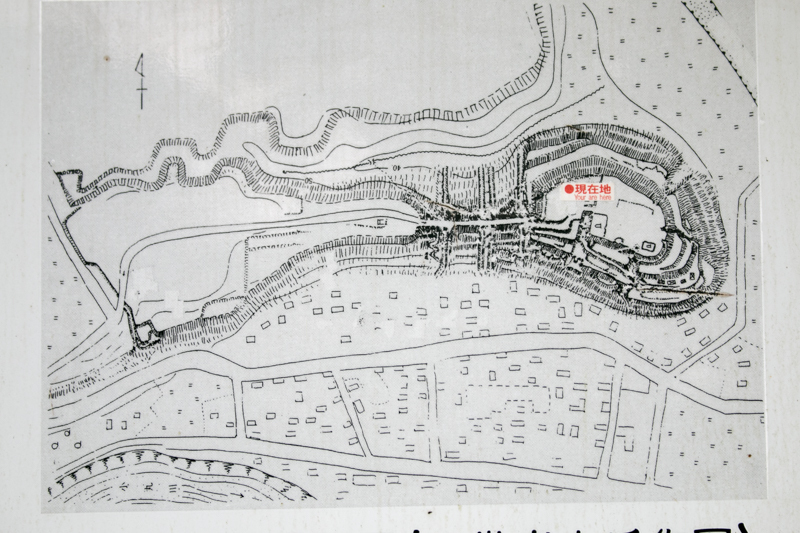 This time Hidenaga Toyotomi (1540-1591), a trusted younger brother of Hideyoshi, encircled Takajo castle with 80,000 soldiers in April 1587. This time Arinobu Yamada again securely protected Takajo castle and waited for reinforcement army. 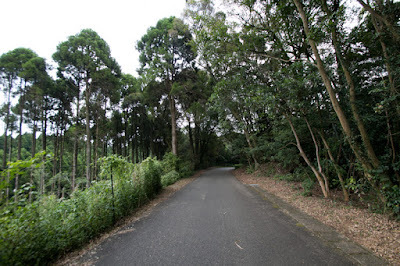 But this time the main force of Hideyoshi army approaching to Satsuma province, the original territory of Shimazu clan from Higo province. 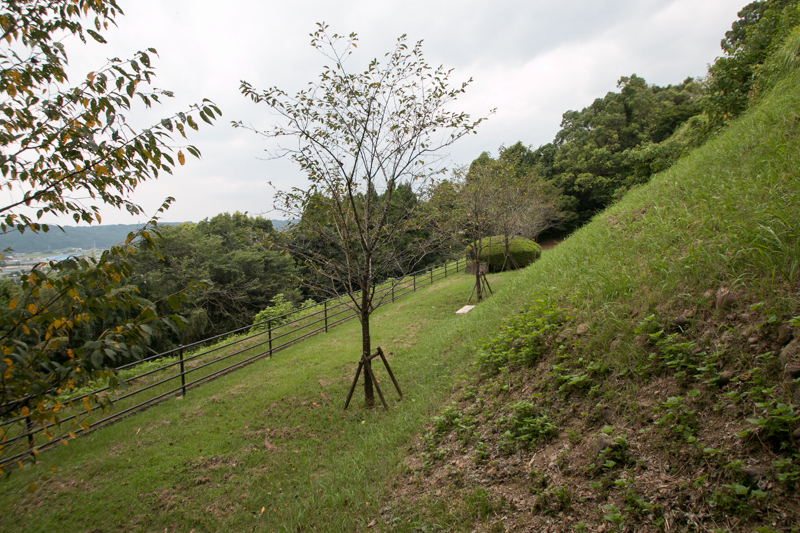 Different from former battle, Shimazu army had to break Toyotomi army and turn to their force to the main army of Hideyoshi. 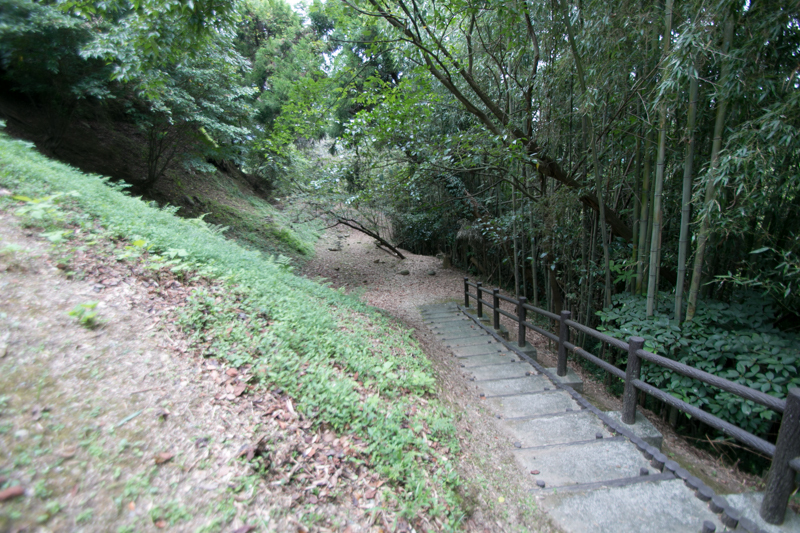 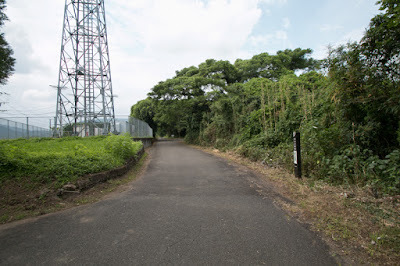 Toyotomi army crossed Omaru-gawa river and built fortress at Nejiro-zaka slope, only one path to go down to the riverbed from the plateau. 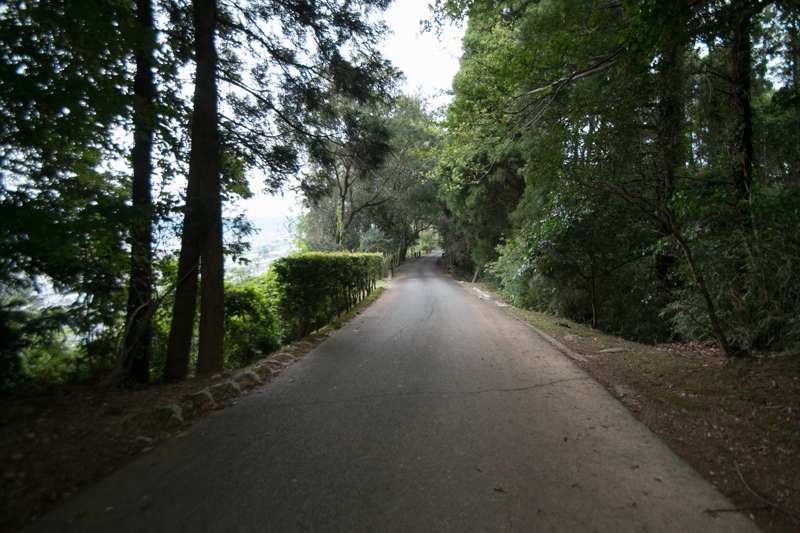 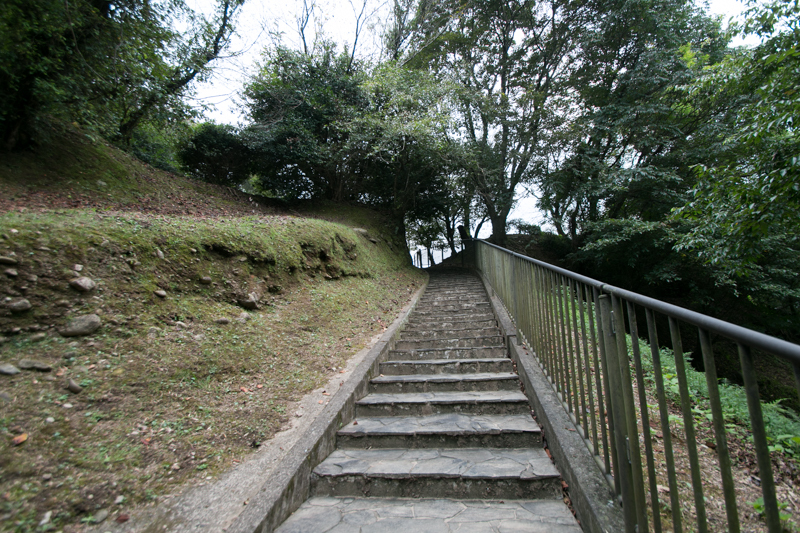 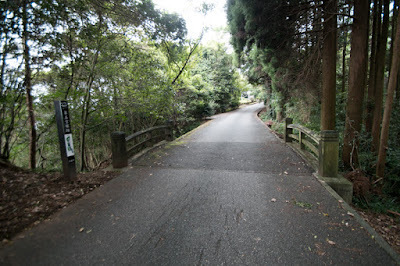 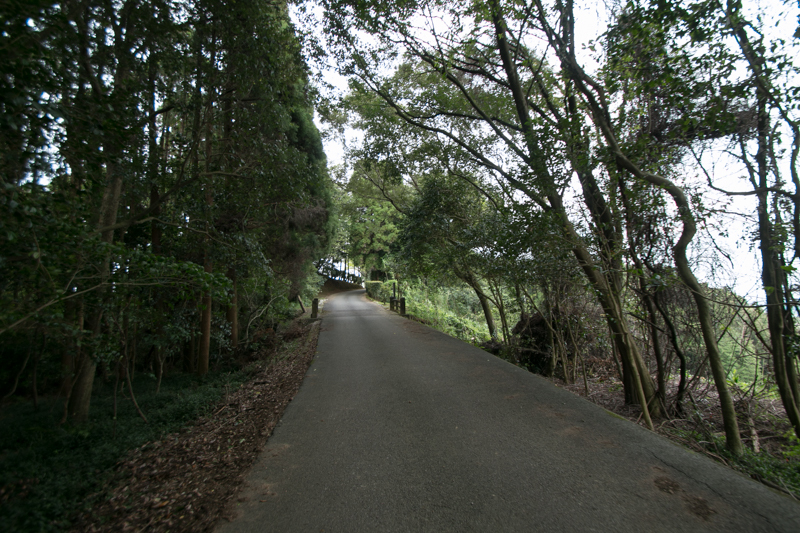 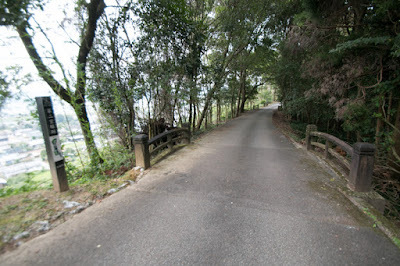 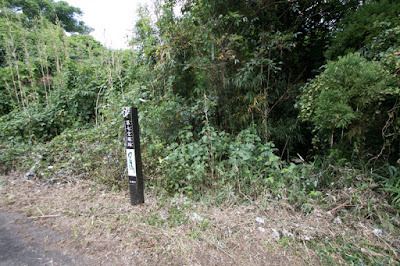 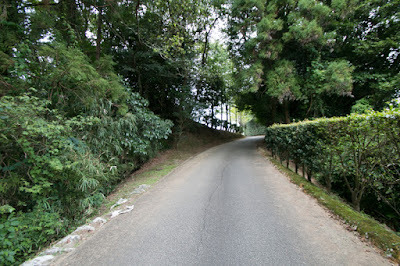 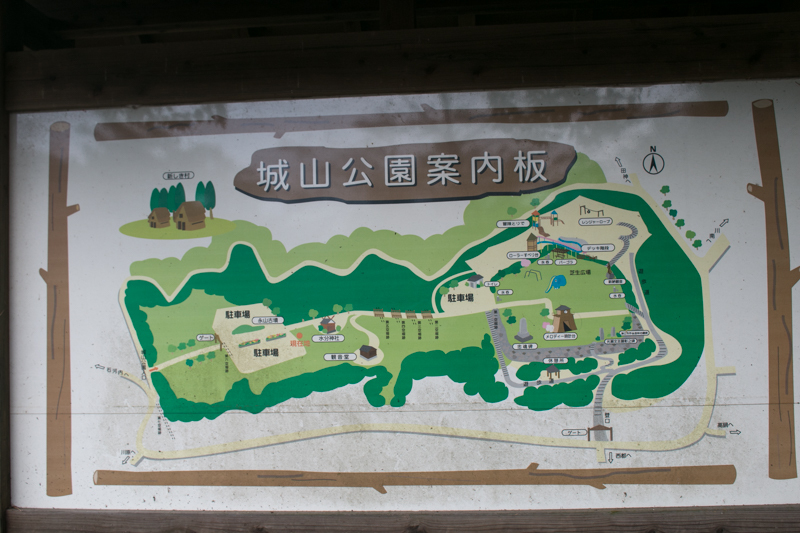 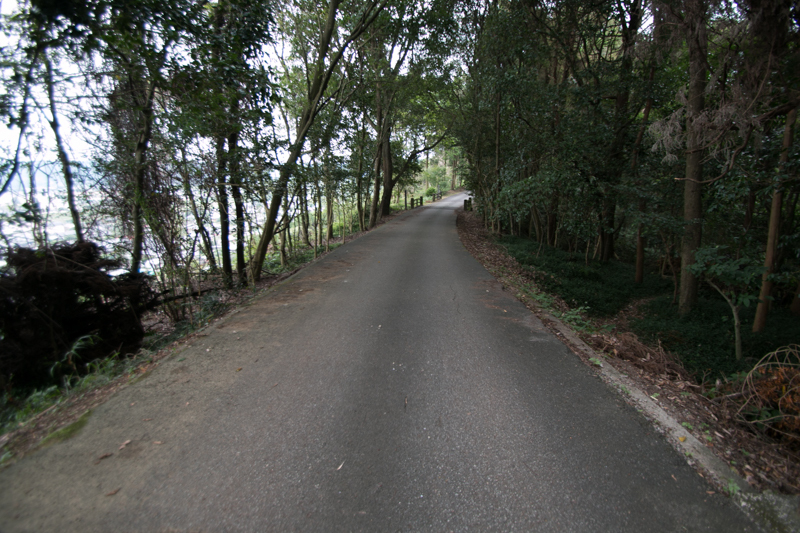 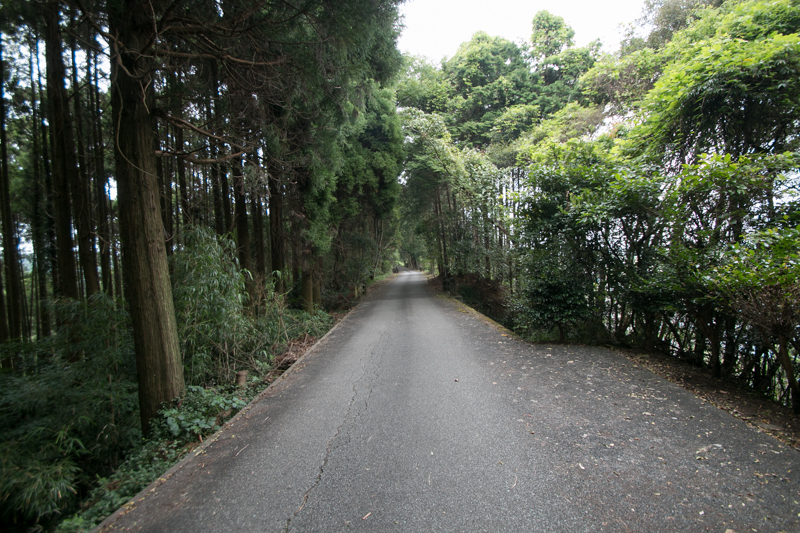 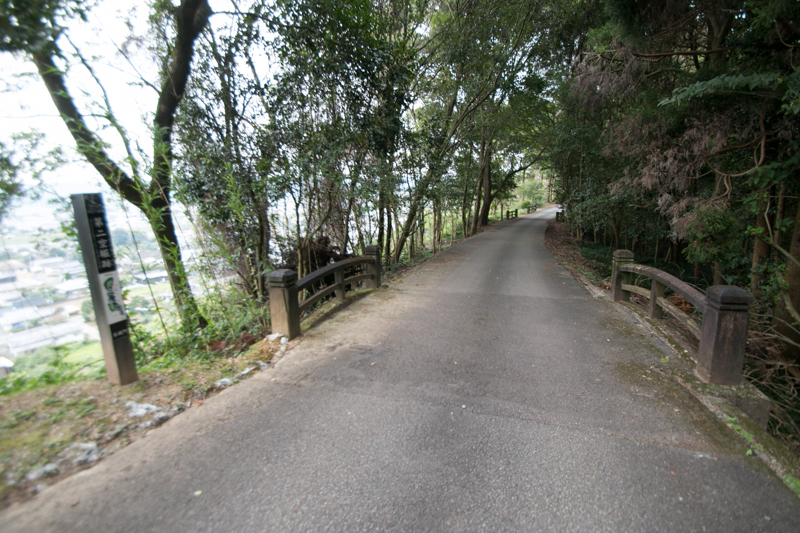 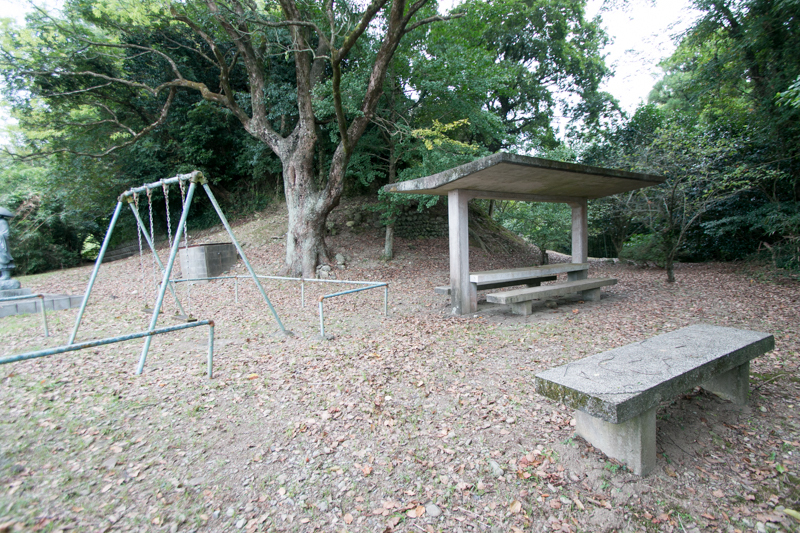 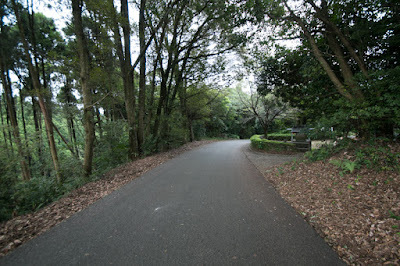 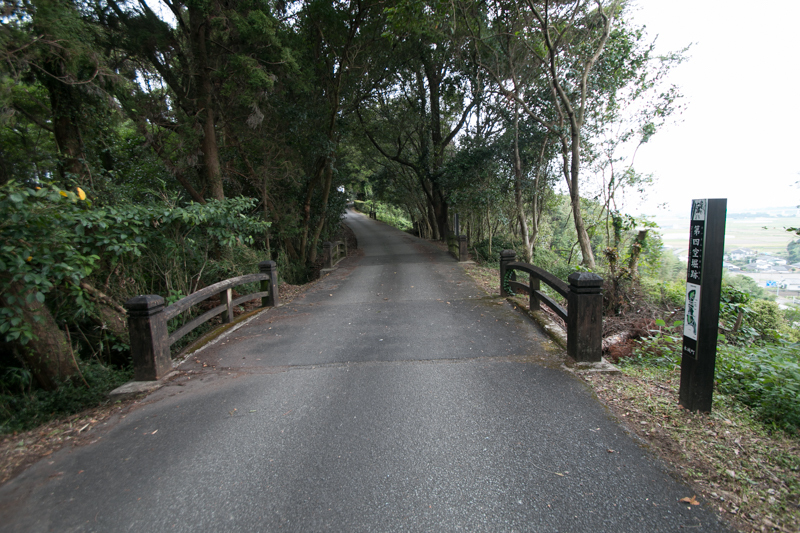 Hidenaga built secure fortress utilizing small hill before the cliff and waited for Shimazu army. 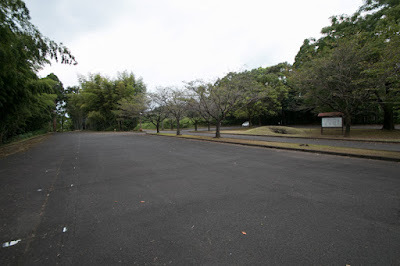 Shimazu army lead by Yoshihiro Shimazu (1535-1619) desperately attacked Toyotomi army, but being fired by numerous matchlock guns Shimazu army failed the attack and retreated with severe damage. At the same time Hideyoshi marched to Satsuma province, and remaining Shimazu army surrendered to Hideyoshi. 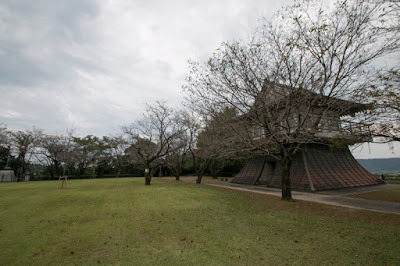 Yoshihisa Shimazu (1533-1611), the leader of Shimazu clan. 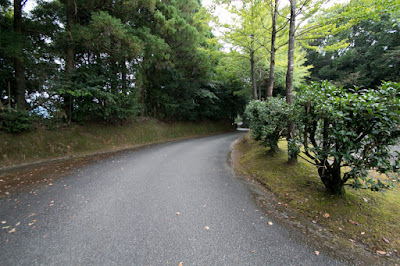 lost the will to resist against Hideyoshi, and finally surrendered 20 days after the battle. 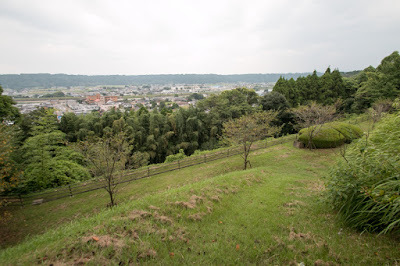 Yoshihisa ordered Arinobu Yamada still stayed at Takajo castle, and Takajo castle opened to Toyotomi army. 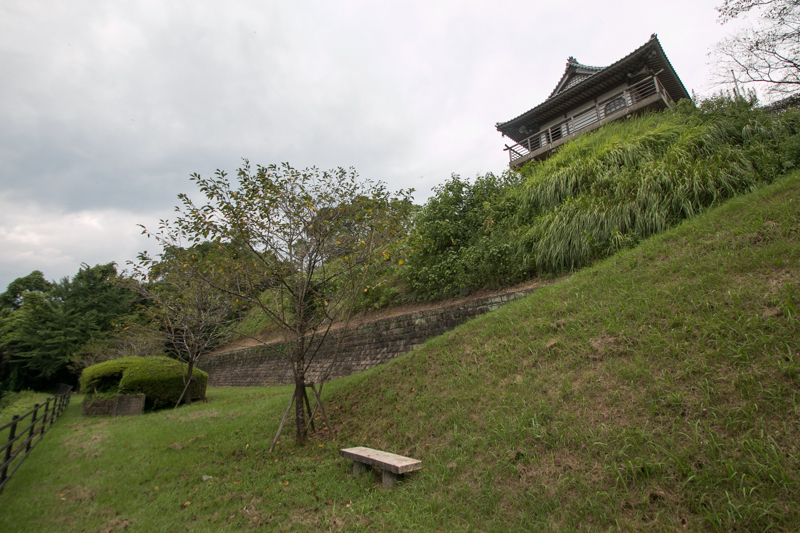 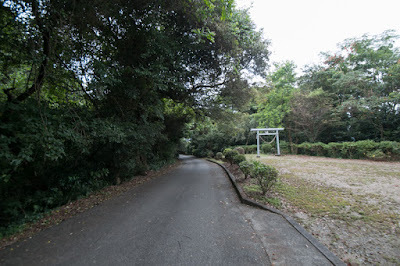 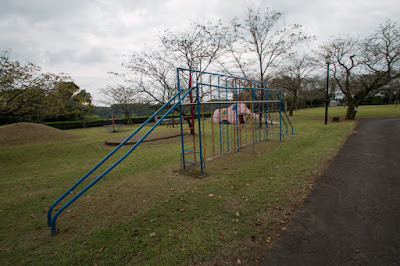 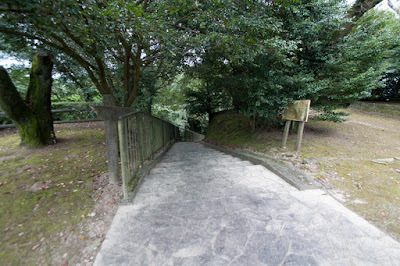 Now Takajo castle ended its role at the history of Kyushu island and was abolished. 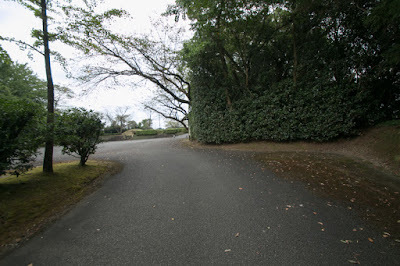 This was the end of fierce battle between Otomo clan and Shimazu clan over 9 years, and also the end of the hegemony of Shimazu clan at the island. 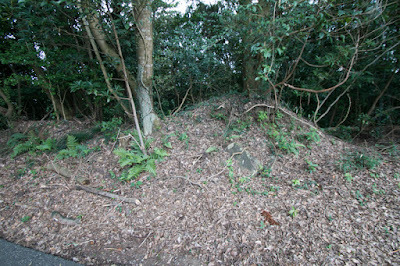 Now no building is left but shape of the castle roughly remain on the castle site. 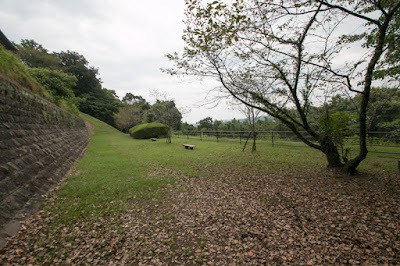 Castle site becomes a park, and terraces and moats shows former atmosphere of the castle. 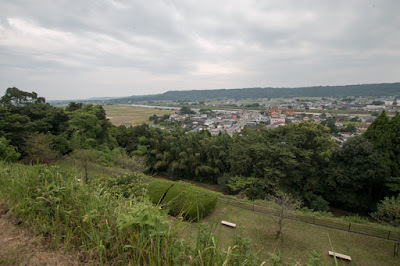 Now the castle ruin looks down on the riverbed of Omaru-gawa river, where was the place of two battles both brought the end of the hegemony to Otomo clan and Shimazu clan. 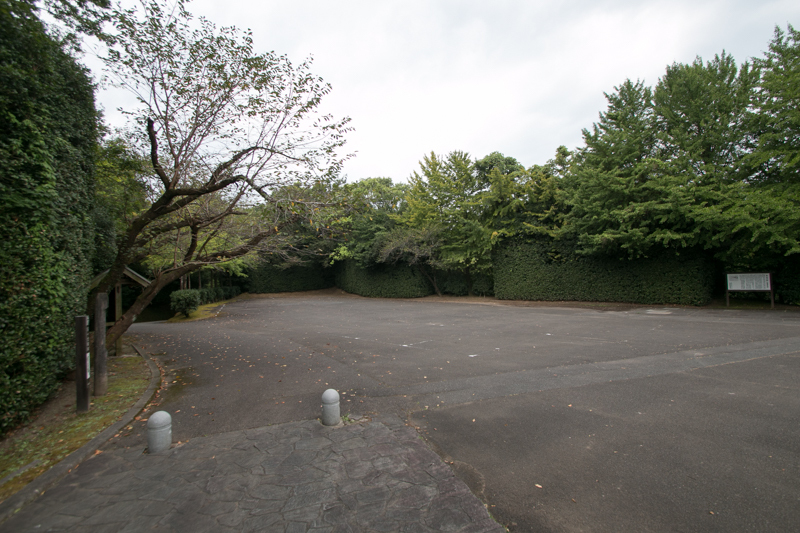 15 minutes drive from HIgashi-Kyushu Jidoshado Expressway Takajo interchange to parking of castle park.